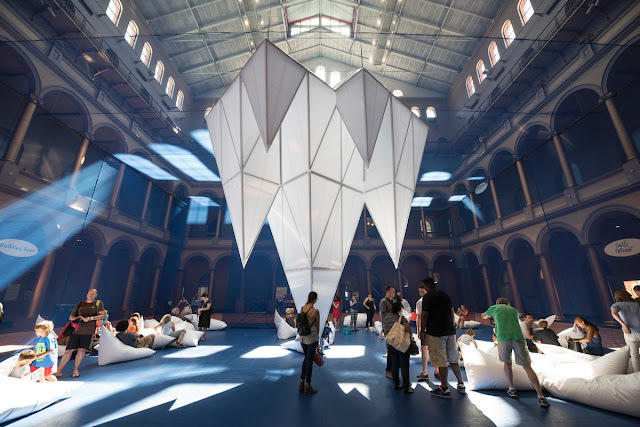 James Corner hopes to melt hearts with vast ICEBERGS installation Archi-new - Free Dwg file Blocks Cad autocad architecture. Archi-new 3D Dwg - Free Dwg file Blocks Cad autocad architecture. James Corner’s huge ice-themed installation for the National Building Museum in Washington D.C. has opened to the public. The immersive work, called ICEBERGS, occupies an area of 12,540sq ft (1,100sq m) in the museum’s Great Hall. It allows visitors to feel as though they are walking through an underwater world of ice fields. 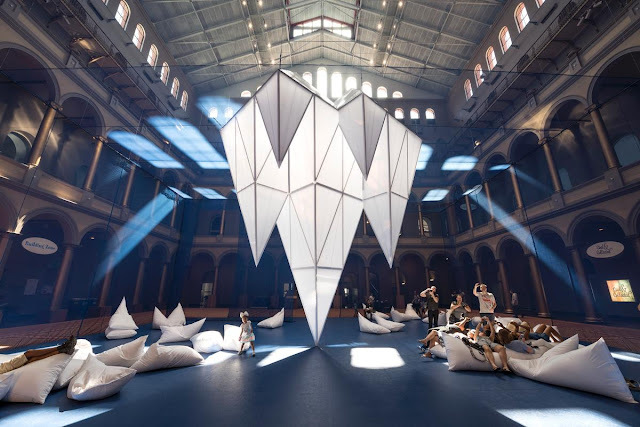 A host of newly-released images reveal the varied elements introduced by Corner and his studio Field Operations. 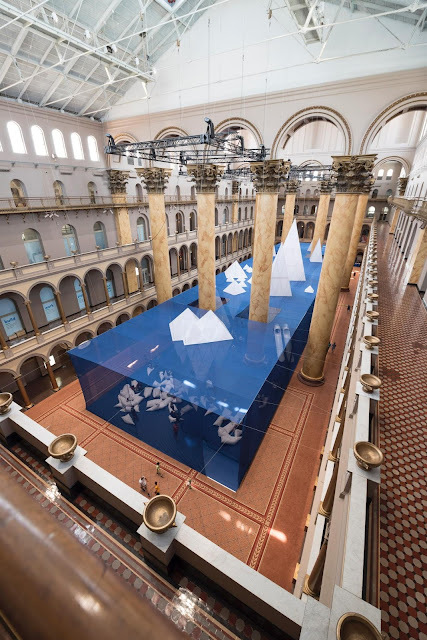 Caves and grottoes – created by recycled construction materials – line the ocean floor and icebergs float on a ‘water line’ which is suspended 20ft high bisecting the vertical space. 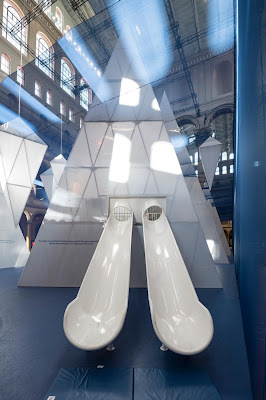 The tallest iceberg rises 56ft (17m) to the museum's third-storey balcony and can be climbed, while others feature slides. 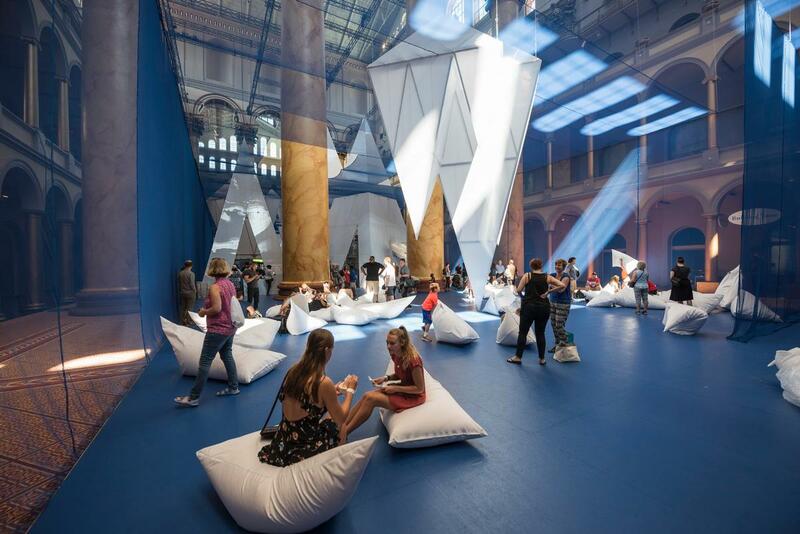 Cushions evocative of ice blocks provide space for relaxation below the icebergs. 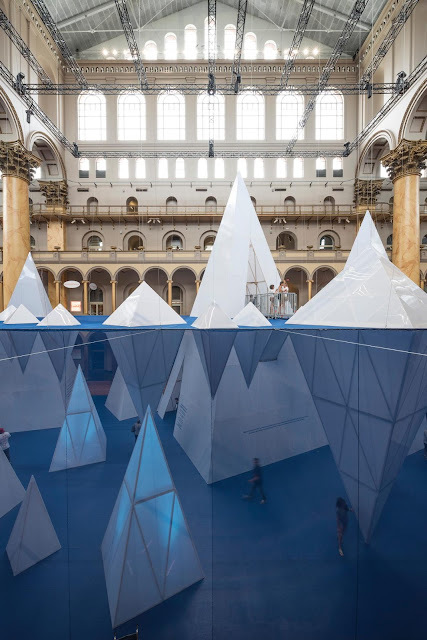 “This world is both beautiful and ominous given our current epoch of climate change, ice-melt and rising seas,” said Corner in a statement when the project was first announced. “As a physical experience, the installation creates an ambient field of texture, movement and interaction, as in an unfolding landscape of multiples, distinct from a static, single object. ICEBERGS will be on display until 5 September 206 as part of the museum’s Summer Block Series. A series of events will be held over that time, including DJ sets, educational workshops, discussions hosted by the architects and a creative workshop that allows guests to work out how Rose could have saved Jack at the end of the film Titanic. 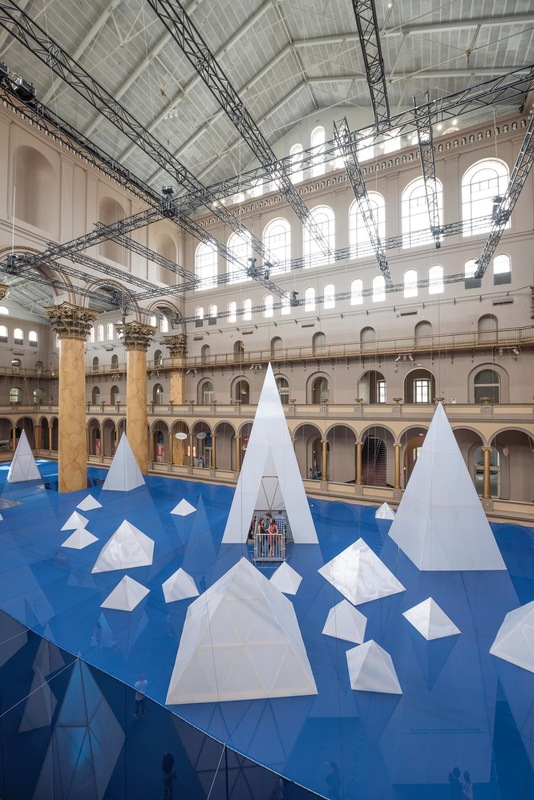 The Summer Block Party series is a popular annual event for the National Building Museum. 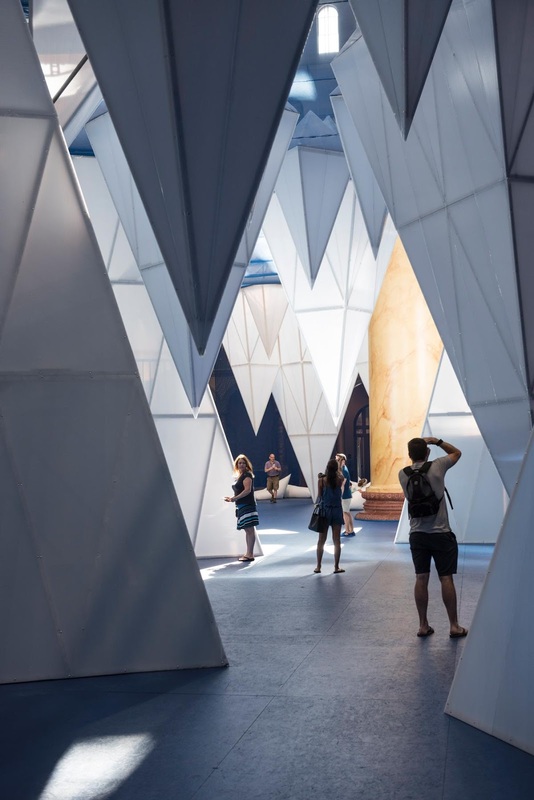 Last year, more than 180,000 visitors came to see Snarkitecture’s installation BEACH, which was formed of 750,000 recyclable translucent plastic balls.